Tomorrow afternoon, the school doors will fly open and the children will come sailing out on a wave of excitement! In preparation for two weeks off, I have found some free **or super low cost** events to keep the munchkins busy. Let us know if you have any more to add! December 30th: Lights! Camera! Action! from 1:00PM-2PM for kids ages 7-10. Kids will use role playing, pantomime and more to put together a skit. Must register. January 2 Boredom Busters: Discover from 10:30AM-12:00PM. Drop in event. Bust boredom with science activities. January 3rd: The Melikin Puppets: Fractured Fairy Tales will be at the Garlands of Barrington from 10:30AM-11:30AM. Three classic stories-Goldilocks and the Three Bears, Chicken Little, and The Tale of Two Bad Mice- get a makeover in this Melikin Puppets production. There is no registration required for this free event--admission is first come, first served based on availability. December 27 Mandarin Playdate from 9:30AM-11:00AM at the Language Stars in Barrington. Free! December 29 Animal Tracks from 1:00PM-2:00PM. Learn how to identify animals by the signs they leave. Make a track to bring home with you! December 27, 28 & January 3, 4 Cookies and Cocoa from 2:30PM-5:30PM. Tour the museum and enjoy complimentary hot cocoa. For $1, decorate 2 cookies. Admission is free. 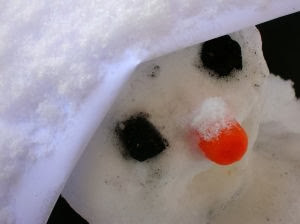 December 23 Hodge Podge Crafts: Make crafts from left over art supplies from 1:30PM-3:30PM. This is a drop in event for kids ages 3-12. Under 6 must be accompanied by adult. December 26 Animal Quest from 1:00PM-1:45PM. Get up close and personal with a variety of animals. Limit 100 tickets that are handed out 30 minutes prior to event. December 30 Jump Up! Family Musical Interactive Show from 11:00AM-11:45AM. Ages 2-8. This event will have everyone moving! Admission to the Lizzardo Museum in Elmhurst on Fridays is free. The museum is open 10AM-5PM. The museum houses gems, carved stone, rocks and minerals and more treasures. We love, love, love the Raupp Museum! They also normally have a scavenger hunt that kids will love!